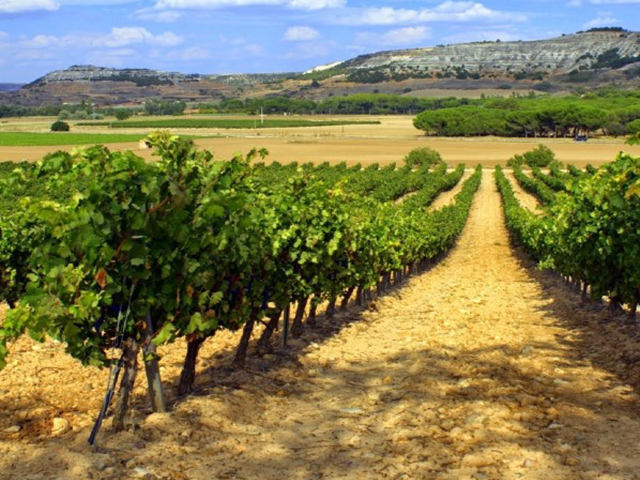 Fompedraza, a small village in Valladolid with a viticulture tradition within the D.O. Ribera del Duero, has witnessed how the Benito Hernando brothers – Gaspar, Fernando and Javier- have developed the Bodegas Briego project, thus restoring the tradition that their father had followed almost fifty years before. There is a great deal of ambition invested in Briego; a synonym for fighting, fighting for wine quality and for better vineyard management, for painstaking work and for the revitalization of Fompedraza. Briego's intention to produce great wines goes hand in hand with the structure of the winery, the extensions and the addition of techniques and technology to tradition. We always keep in mind that to produce a great wine it is necessary to pamper nature and unite its fruits with the work. Since then, these three brothers have not stopped working and researching in the pursuit of wines recognized for their quality. All this savoir-faire stems from yields which are very limited, meaning that currently around 400,000 bottles are produced, and these are distributed via the catering trade and specialty dealers on both national and international markets.